Cinch is Shaklee’s Weight Management Program. Of course there are many weight-loss programs out there. Some are terrific. Some are not so good. Is this the best one? I think so because it has worked for me. Shaklee products and vitamin supplements are always always safe, always effective, and always green. Burn fat you don’t need. Lose inches you don’t want. have a tasty, wholesome, protein-rich Cinch meal replacement for a fraction of the cost? ‡ Based on Shaklee Member price for Cinch Shake Mix. muscle-retaining amino acid that helps you keep muscle while you lose fat and inches. burned and fewer inches on your waist. Good? Yes! It’s the key to long-term success. Shake Mix Whey Protein Blend and Cinch Meal-in-a-Bars were not included in this study. bars, and the tea mix after they lose weight simply because they enjoy the great taste. your briefcase, purse, or gym bag and enjoy when you want. many other features designed to enhance your success. lose the weight on the Cinch Plan, you’ll not only be healthier, you’ll look and feel great. With our 100% money-back guarantee, you have nothing to lose except the inches. And everything to gain in a whole new life. Another good tip: take a “before” picture so you can show everyone your progress and your own Success Story! This entry was posted in Lose Weight, Products, Weight Loss, Weight Management and tagged cinch on January 12, 2011 by Tom Leonard. Got milk? Want to lose it? Losing weight means different things to different people. I think of it as shedding gallons of milk. That seems like plenty. How about two gallons? That starts to add up fast. Three gallons? This is more than I can carry in with the groceries. Four? Now that is quite a load. Almost 35 lbs. just from those four gallons of milk. What does this mean for losing weight? For each 8.6 lbs. I can lose, it will be as if I no longer have to carry a gallon of milk around with me all the time. So if I can reach my weight loss goal it will be like I have shed several gallons of milk. So I no longer have to carry it with me every where I go. That has to be easier on my body, on my joints and back. And the best part will be that the majority of this unwanted weight will come off abdominal fat. And that is what I want to lose most of all. I have been using Shaklee Cinch for 9 weeks now and I have honestly lost 30 lbs. So I no longer carry 3 1/2 gallons of milk! But I am not finished there. I want to lose another 20 lbs. and have a BMI (Body Mass Index) under 25. And for the first time in years I will no longer be in the “Overweight” or “Obese” categories. I know that I will feel better and that it will be a good trip to the doctor next time. From personal experience I can recommend Shaklee Cinch. It has worked for me – when nothing else has – and I feel confident that I can reach my goal. If you want to know more about Cinch, and if you want to start losing those gallons of milk, let us know by contacting us here or heading over to our site to get started with Cinch. Good luck with your program! This entry was posted in Fitness, Healthy Lifestyle, Lose Weight, Nutrition, Weight Loss, Weight Management and tagged cinch, Success on September 2, 2010 by Tom Leonard. You’ve probably already heard about the dangers of abdominal obesity (otherwise known as “belly fat”). You’ve probably heard that it increases your risk of diabetes, heart disease, stroke and cancer. But did you know that it could literally be killing you – even if you are at ideal body weight?A group of scientists at the National Institutes of Health recently analyzed data collected from 44,000 women in the Nurses’ Health Study over a 16-year period and asked if abdominal obesity affected their death rates from heart disease and cancer(Zhang et al, Circulation, 117: 1658-1667, 2008).The answer was a clear-cut yes! The study showed that women with a waist circumference of 35 inches were twice as likely to die from heart disease and cancer than women with a waist circumference of 28 inches – even if they were at ideal body weight. There is a natural tendency to lose muscle mass as we age. When we add in the inactivity associated with the American lifestyle that loss of muscle mass is accelerated and the muscle is replaced with fat. Thus, it is actually possible in today’s world to have both normal weight and abdominal obesity – and that is not a good thing! Of course, the women who were both overweight and had abdominal obesity were even more likely to die from heart disease or cancer. So it is not just about not looking good in your bathing suit – abdominal obesity is a killer! However, the good news is that you can do something about abdominal obesity. A combination of exercise, a healthy diet and the “Cinch Inch Loss Plan” is a proven way of getting rid of that unsightly belly fat forever. This entry was posted in Lose Weight and tagged cinch, diet, obesity on June 23, 2010 by Tom Leonard. There are many Shaklee Products that we think of as our favorites. We hope that you will be interested to try them out for yourself. And remember that there is always a money-back guarantee – they are that good! 2. Shaklee Vitalizer™. This is my foundation. In one daily packet I get foundational nutrients I need, including sustained release B and C vitamins, minerals and more, plus probiotics, Omega-3s and more. If you’re like 9 out of 10 Americans, you don’t eat enough fruits and vegetables, and that means you may not be getting enough of the right nutrients. That’s a great reason to supplement what you eat and I really like the way Vitalizer makes me feel! 3. Cinch® Vanilla Shake Mix: Soy or Cinch® Vanilla Shake Mix: Whey. I love these shakes for so many reasons. They are rich in protein, I can mix in strawberries, bananas, peaches, whatever and it always tastes great. That’s my routine…blender, milk, fruit, cinch shake powder. It’s so good. I feel full and stay feeling full throughout the morning. They’re great for people watching what they eat. Both feature an ingredient called Leucine which helps retain muscle. 4. 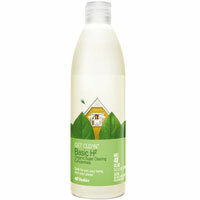 Basic-H2® Organic Super Cleaning Concentrate. I love this because I can use it in so many different ways around the house. I clean my whole house with it. One bottle goes a long, long way. A 16 oz bottle creates an unbelievable 48 gallons of super-safe, really powerful, all purpose cleaner. It replaces so many household cleaners I used to buy at the grocery store. It’s concentrated, so it saves me a lot of money compared to ready-to-use cleaners. It’s nontoxic, too! 6. Nutrition Therapy Skin Care System™. This is a great skin care system, for women and men. The exclusive to this is “Vital Repair+® which blocks ALL those skin-damaging free radical reactions and actually allows the skin to keep making healthy cells.” For me, I like it because it leaves my skin looking smooth and feeling incredible. 7. 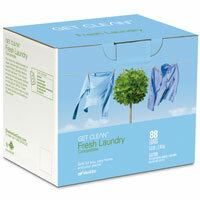 Nature Bright® Laundry Booster and Stain Remover. This stuff is like gold in my laundry room. I use it on grass stains, dirt, even stains on upholstery in the car or home. You name it. It cleans with “natural enzymes and active oxygen” so it seems to keep my clothes bright without fading, but still clean. 8. Fresh Laundry Concentrate (Powder). If awards were given out for the amount of wash that is done in homes, our home could qualify to be a winner. I really like Fresh Laundry Concentrate Powder. The fragranced version smells great, it cleans very well. 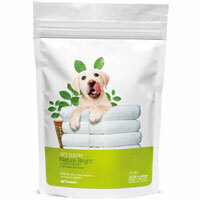 It cleans with natural enzymes and biodegradable surfactants, and is very safe in water systems. I love that it is concentrated too. With just a ¼ cup, you can clean a whole load. 9. Cinch® Snack Bars. When I get those cravings for a snack, I really like having Cinch Snack Bars around! Each bar has 10 grams of protein and only 120 or 130 calories—I like that, a lot. When I look at some other bars on the market, they often don’t even have 3 grams of protein and they’re full of sugar. Like the shakes and meal bars, these Cinch snack bars also have Leucine, which helps preserve muscle. And, they taste great! 10. Cinch® Energy Tea Mix. For me, Cinch teas are a safe, natural energy boost and a great alternative to sugary snacks, coffee and soda. You can drink it hot or cold. It comes in little single serve sticks so you can just add it to a water bottle; they’re very portable and packable. One of my favorite parts – it’s not too tart and not too sweet. It’s just right! This entry was posted in Products and tagged basic h, cinch, laundry, nature bright, nutriferon, skin care, Vitalizer, Vivix on May 4, 2010 by Tom Leonard. Why pay for calorie-rich fast food that can add more inches to your waist when you could have a tasty, wholesome, protein-rich Cinch meal replacement for a fraction of the cost? ** Comparison conducted February 24 (McDonald’s), February 25 (Starbucks), and March 11 (Subway), 2009, and is valid only for the named products marketed at that time. Every Cinch shake and Meal-in-a-Bar is high in protein and provides a healthy serving of vitamins, minerals, and fiber. When mixed as directed, our shakes—available in four great flavors: vanilla, chocolate, strawberry, and café latte—deliver 24 grams of protein per serving while each Meal-in-a-Bar contains 20 grams. Choose from Berry Almond Crunch or Peanut Butter Chocolate Chip. Many people continue to use the shakes, bars, and the tea mix after they lose weight simply because they enjoy the great taste. On the go? Crazy schedule? Back-to-back meetings? No more excuses. Just throw a Cinch tea stick, Meal-in-a-Bar, or one of our convenient single-serve shake packets in your briefcase, purse, or gym bag and enjoy when you want. Being overweight not only makes you feel bad, but can compromise wellness. Cinch to the rescue with leucine-enhanced protein-powering results. Join the thousands who have lost weight using the Cinch Inch Loss Plan, including Matt (pictured at right). Log on to CinchClub.com to see our monthly success stories. Is your Cinch success story just waiting to be told? Cinch provides all the tools you need to reach a healthy weight. When you log on to CinchClub.com, you’ll find an online community message board where you can meet, greet, and share your Cinch experience with others already using the plan. Or you can browse meal plans and recipes to help you make the right food choices; access Cinch University—a 12-week educational series to help you better understand all the factors that influence your weight; and read articles on topics of nutrition, fitness, and more to help you reach your goals. Plus, each Cinch Starter Kit comes with a Cinch Program Guide, designed to help you get started on the Plan; our CinchCoach software program, which provides you with individualized meal plans, as well as weight-and inch-loss tracking tools; and many other features designed to enhance your success. Get used to all the attention. People will notice a difference—you will too. Once you lose the weight on the Cinch Plan, you’ll not only be healthier, you’ll look and feel great. 10. Don’t Like It? Don’t Pay for It. With our 100% money-back guarantee, you have nothing to lose except the inches. And everything to gain in a whole new life. 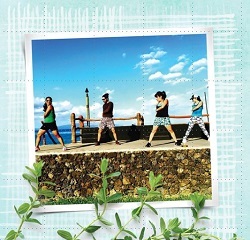 This entry was posted in Lose Weight, Products and tagged 10 reasons, cinch, lose pounds, management, shaklee, Weight on April 13, 2010 by Tom Leonard.